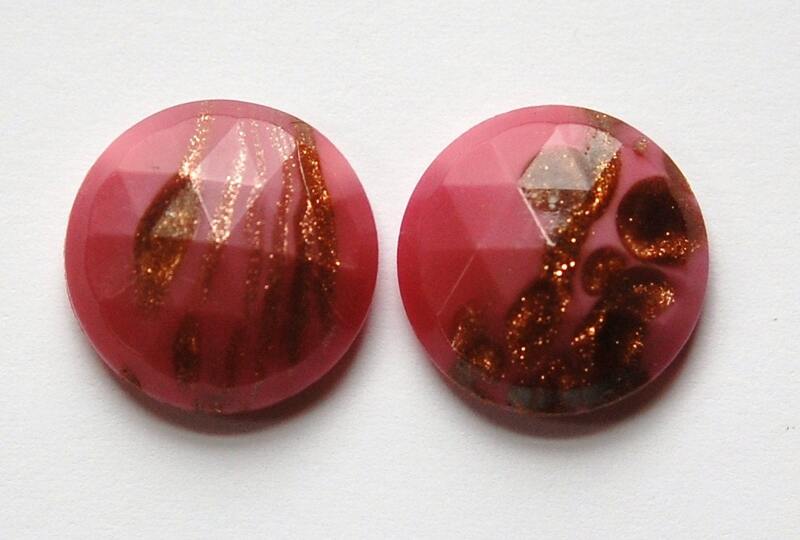 These are vintage pink glass cabochons. 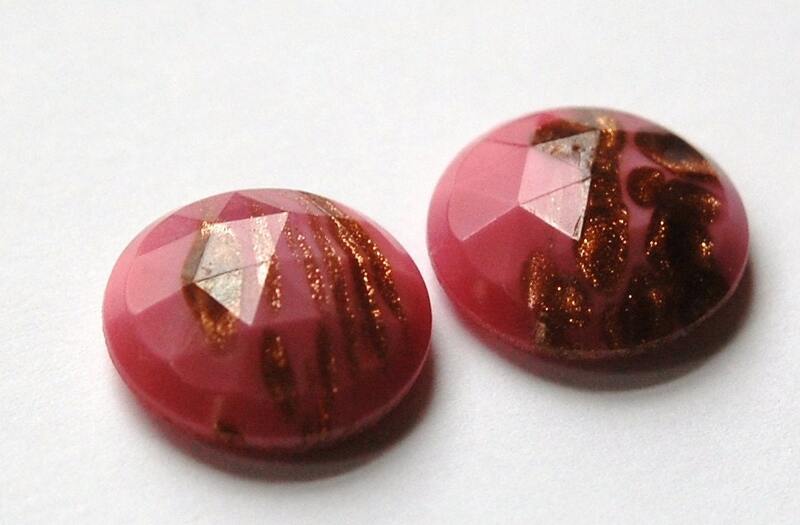 The top is faceted and has random streaks of goldstone. The back is flat. These measure 18mm. You will receive 2 pieces. Commande bien reçu. Je suis très contente! Item arrived as described. Great transaction. Thanks!